But the Pandora Utility Suit was actually designed for restoration, while the film's AMP suits were created for infantry missions of destruction. Its streamlined structure and technical upgrades make it the perfect tool to collect plant samples, study flora and survive Pandora's wild terrain. Like all the lands at Disney's Animal Kingdom, Pandora is rooted in nature. The Pandora Utility Suit showcases that in dramatic fashion. As the suit traverses the land daily, its pilot will interact with guests, share details about the land's otherworldly landscape, and highlight the importance of preserving nature. 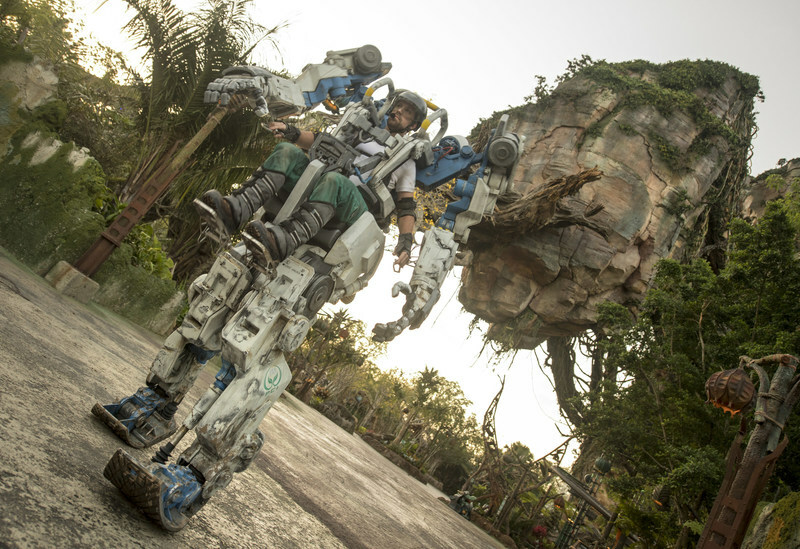 The Pandora Utility Suit continues the collaboration between Disney and Lightstorm Entertainment that first brought Pandora – The World of Avatar to life nearly a year ago. The suit will debut April 22 as part of the 20th anniversary celebration of Disney's Animal Kingdom at Walt Disney World Resort.